Three years ago Chris Brown attacked then- his girlfriend Rihanna on their way to a pre-Grammy party, that assault led to five years of probation after being charged with a felony attack. Now three years later CB is returning to the show that almost ended his career. Brown was unofficially announced as the Grammy’s newest performer on Monday night according to reports. 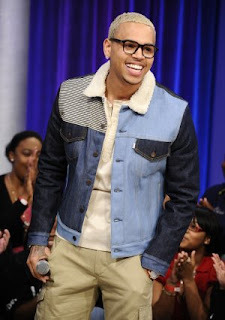 Since watching his career nearly hit rock bottom Chris Brown has bounced back with the multi-hit album ”F.A.M.E. (Forgiving All My Enemies)” which has received three Grammy nodes including best R&B album. Brown also has nominations in ”Look at Me Now” which which is also nominated for best rap song and best rap performance. Also performing on Grammy night is Rihanna who has been nominated for four Grammy’s including album of the year for her platinum selling album “Loud.” Chris Brown has not attended the Grammy awards ceremony since his attack against Rihanna in 2009, even after he was nominated for three awards in 2011. TEARS IN THE RAIN PREMEIRES THIS WEEKEND.